In the United States, the causes and even the meanings of poverty are disconnected from the causes and meanings of global poverty. 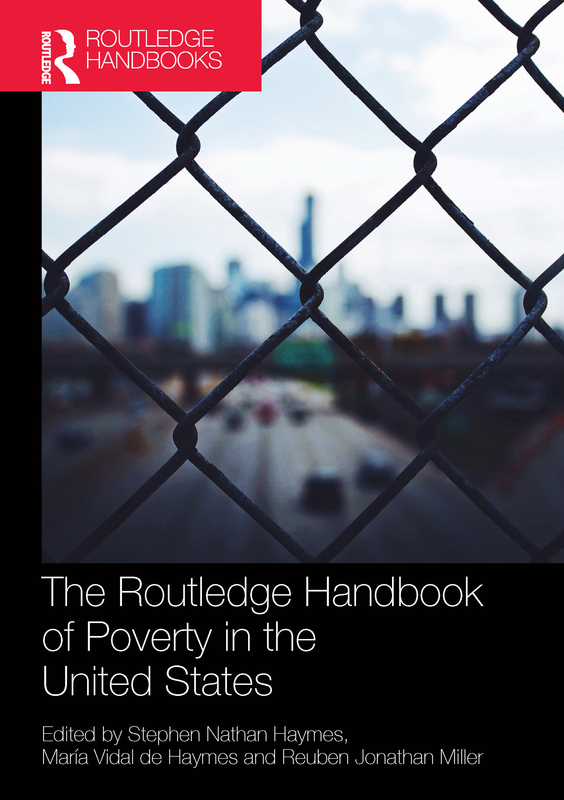 The Routledge Handbook of Poverty in the United States provides an authoritative overview of the relationship of poverty with the rise of neoliberal capitalism in the context of globalization. Reorienting its national economy towards a global logic, US domestic policies have promoted a market-based strategy of economic development and growth as the obvious solution to alleviating poverty, affecting approaches to the problem discursively, politically, economically, culturally and experientially. However, the handbook explores how rather than alleviating poverty, it has instead exacerbated poverty and pre-existing inequalities – privatizing the services of social welfare and educational institutions, transforming the state from a benevolent to a punitive state, and criminalizing poor women, racial and ethnic minorities, and immigrants. Key issues examined by the international selection of leading scholars in this volume include: income distribution, employment, health, hunger, housing and urbanization. With parts focusing on the lived experience of the poor, social justice and human rights frameworks – as opposed to welfare rights models – and the role of helping professions such as social work, health and education, this comprehensive handbook is a vital reference for anyone working with those in poverty, whether directly or at a macro level. Welfare dependency and poverty: neoliberal rhetoric or evidence-informed choice?